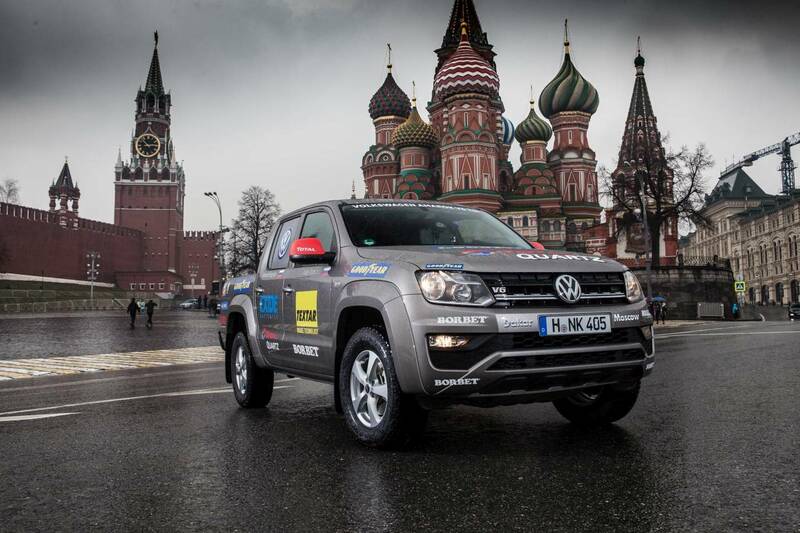 We are happy to start our new project «Amarok Dakar2Moscow» in the capital of Russia! 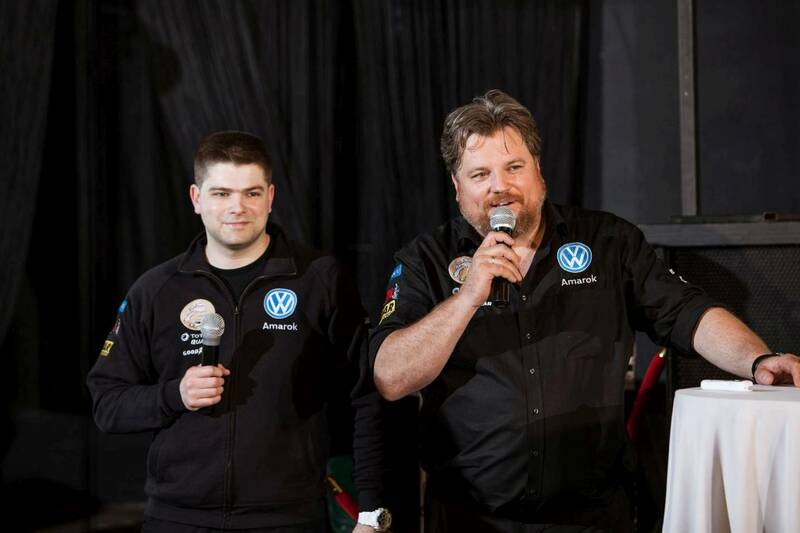 We made a little presentation about our project during the Russian Car of the Year show «Auto Goda» and gave some interviews for journalists about our tour. 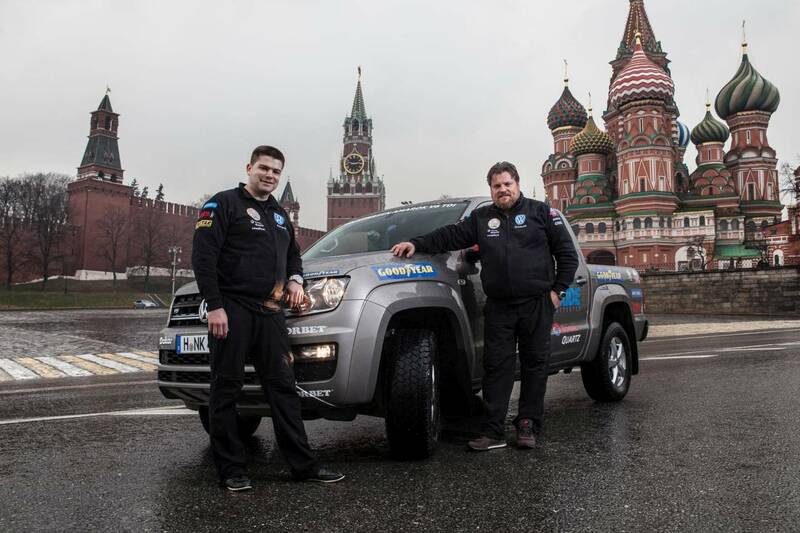 Then we went to the Red Square, the «heart» of Russia, to make some photos for the press. 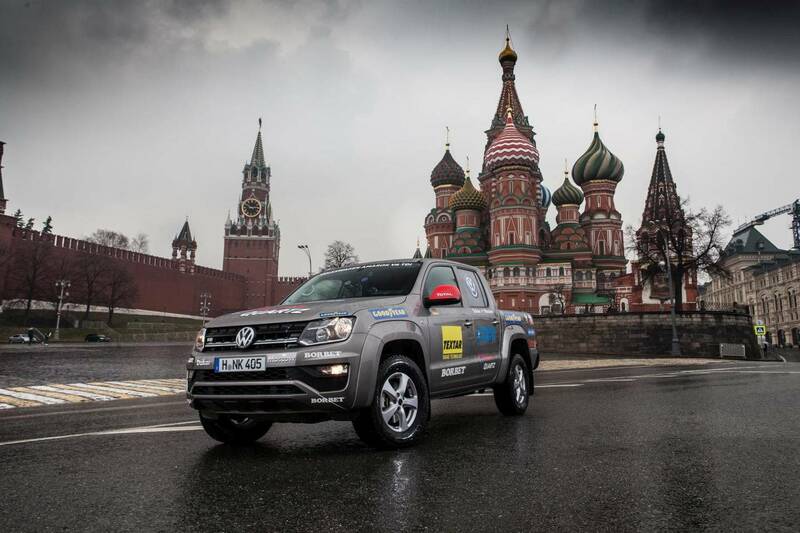 Sadly, it was rainy at the beginning. 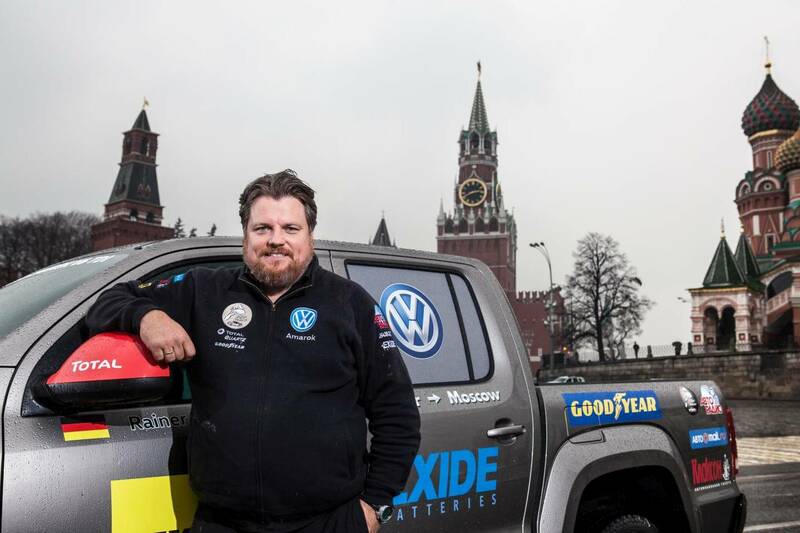 But we were very surprised and glad for the kindness of Moscow traffic policemen, who allowed us to make pictures with a car close to the Kremlin. 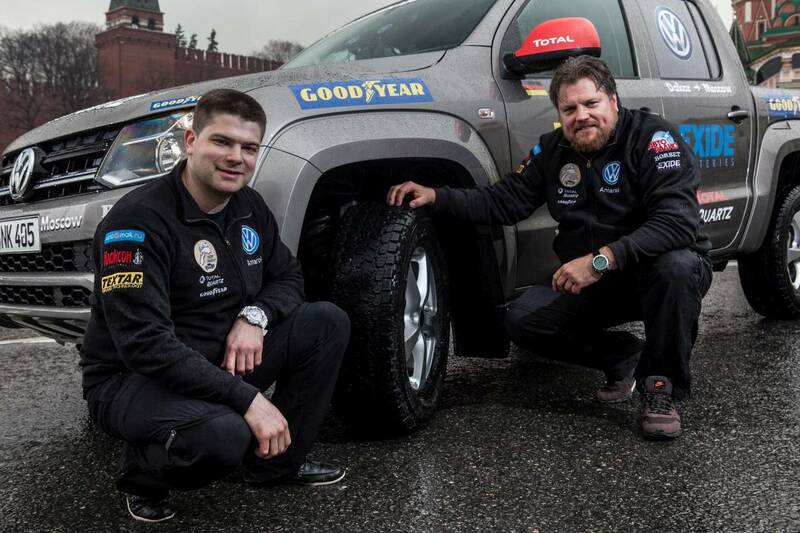 Of course, the first day took a lot of energy and time for the final preparations. 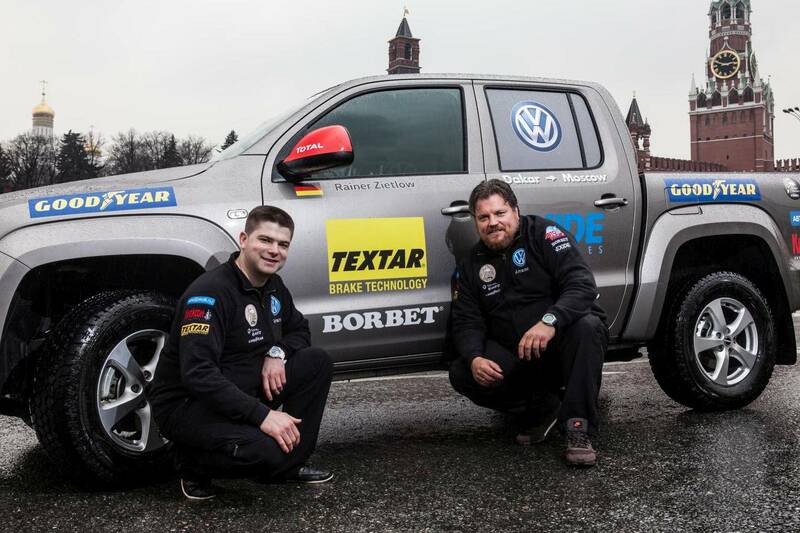 So we are a quite tired but ready for the challenge and our departure tomorrow. 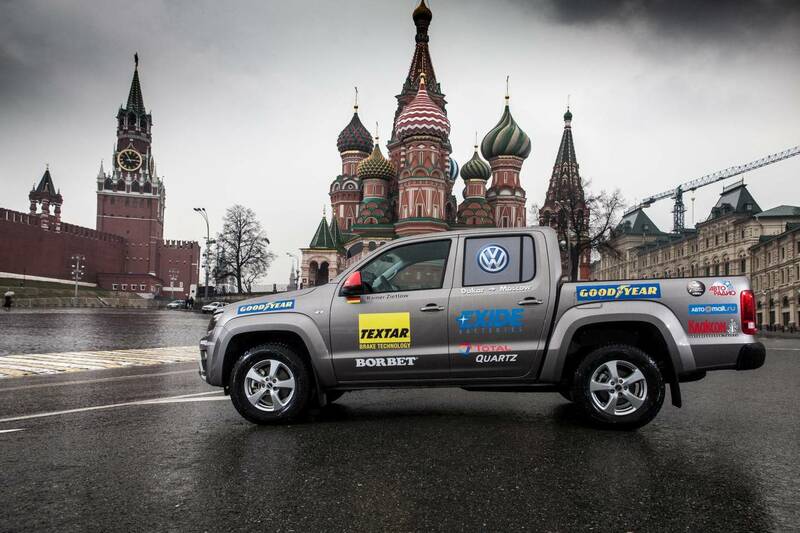 We would also like to thank Volkswagen Commercial Vehicles Russia and all our other partners for their support. 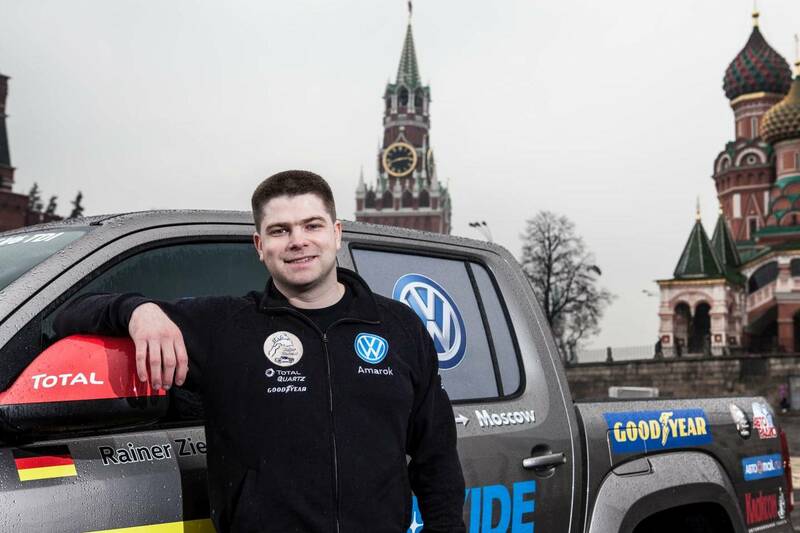 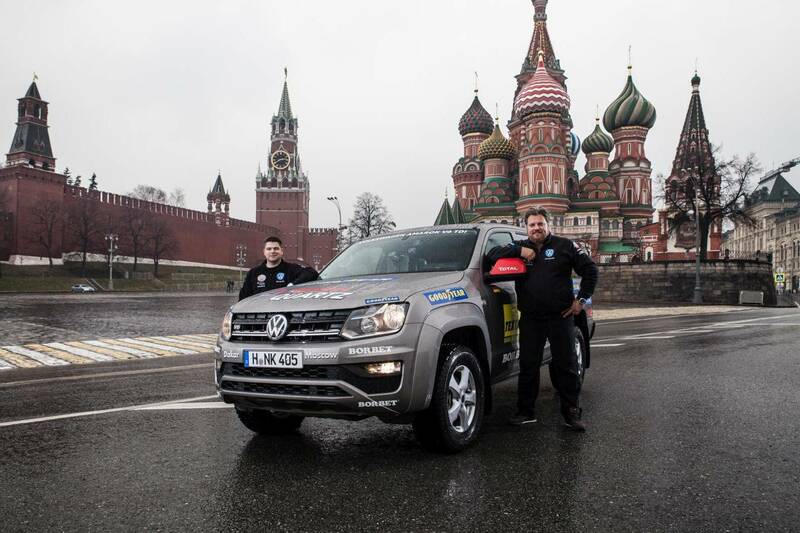 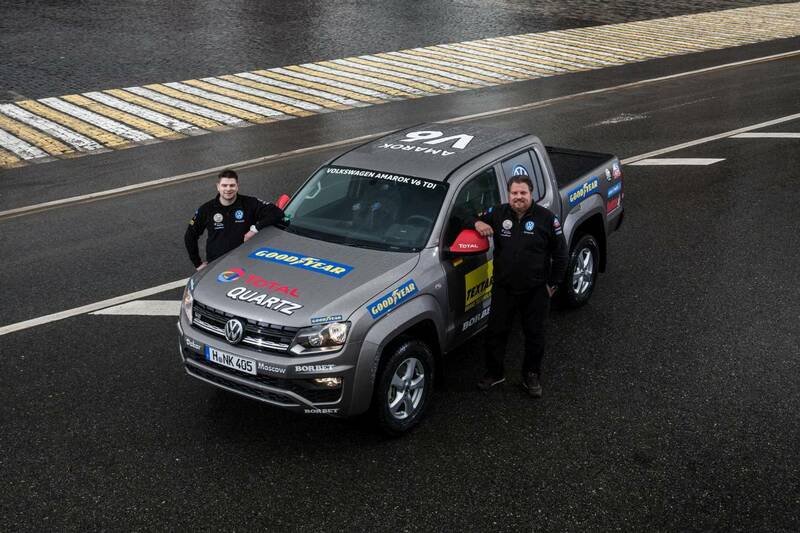 Now we are ready to start the new world record long-distance drive «Amarok Dakar2Moscow»!